When it comes to septic tanks and systems, it’s pretty much never a DIY situation. A malfunctioning septic system can contaminate West Carrollton City drinking water supplies and cause flooding, as well as create sewage backup and biohazardous situations. If you need a septic system installed, pumped or repaired, hiring a certified West Carrollton City, OH septic professional is a no-brainer. It’s a dirty job, but someone has to do it, and lucky for you there is a team right here in Cincinnati that enjoys it. 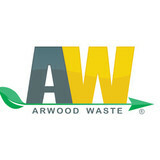 Inspection, assessment, and execution you won’t find a better sewage and septic service in town. 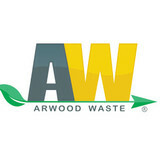 At Perfect-A-Waste Sewage we take your stress out of the mess. Don’t let something minor turn into something major. Even the tiniest detail can become a costly mistake. Our septic tank cleaning and sewage system service will keep your property functioning properly. Our team will take great care of you and set you up on routine maintenance schedule to keep your system running at its highest level. Don’t wait until it’s too late, let us know how we can help you today. 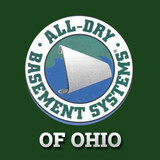 All-Dry of Ohio is a national franchise with over 32 locations across the map. We specialize in basement waterproofing, foundation repair services, and mold testing and remediation services. Our centrally located offices in Cincinnati, Dayton and Columbus provide perfect locations to serve the Southern Ohio, Southern Indiana and the Northern Kentucky region with confidence. We have been waterproofing homes and businesses in the heart of the Midwest since 1990 and have thousands of satisfied customers.